I yelled those words more than six years ago, and to this day, my family and I still sponsor Fati in Mauritania. We send her family packages a few times a year, and we leap for joy when we get a picture or letter from her in the mail. I’m sure this is the same leap the Lord does every single time someone accepts him as their Lord and Savior. We love having Fati as a part of our family. It’s a wonderful lesson to our four children as well, for all of our kids are adopted — and we refer to Fati as “our other adopted daughter, who lives far, far away, but we hold her so close to our hearts.” We feel blessed to be part of the World Vision family. 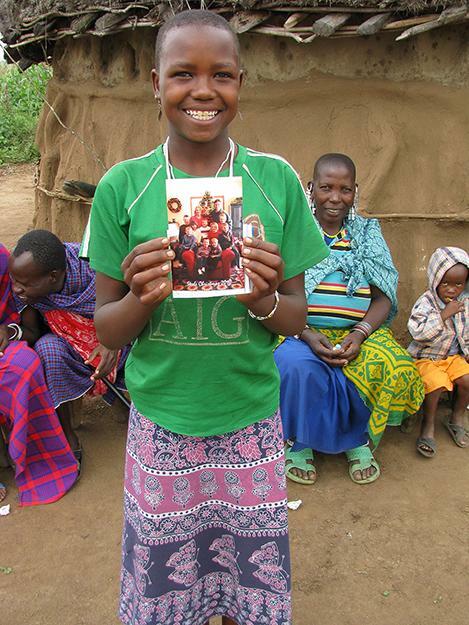 For a family in Pennsylvania, sponsoring Virginia in Kenya teaches them to be more Christ-like. Charitable giving has always been a priority for my family. We truly believe sharing our blessings in Christ’s name is essential to our calling as Christians. It becomes especially meaningful when you know that you are blessing a particular child, family, and community. It is a personal act of love, which is why I think sponsoring a child teaches us to be Christ-like. He touched the lives and faith of individuals. He taught his disciples to become fishers of men. It was very personal. Although he spoke to large groups occasionally, he seemed to be most comfortable healing individuals, talking in small groups or one on one, quietly and sometimes privately. 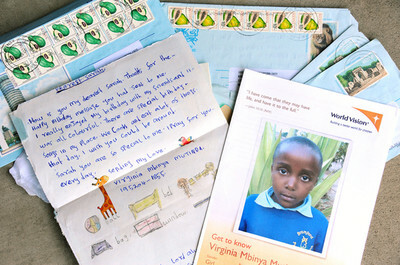 Even though we are continents apart from our sponsored child, Virginia, in Kenya, we write to each other regularly. She tells us of her life in Africa: her favorite foods, her love of school, soccer, and drawing. She relates how she helps her mother cook and do chores. Virginia is the same age as our son, so we are able to share similar milestones with her, and there is a kinship between the children. We especially enjoy emailing her, because we know she will receive the translated letter much more quickly than if we sent one through the mail — and we always attach pictures! We love that she can experience God’s love and know that there is a family far away who loves and supports her in the name of Jesus Christ. Last year, I went through hard times with my small business and had to consider where I might be able to make cuts to my budget. Only for a moment did I consider cutting off my child sponsorship. Only for a moment. Instead, I resolved that we would continue sponsoring Virginia, no matter what my financial straits may be, for she is in so much more need — and just as precious in God’s sight as my family and I are. 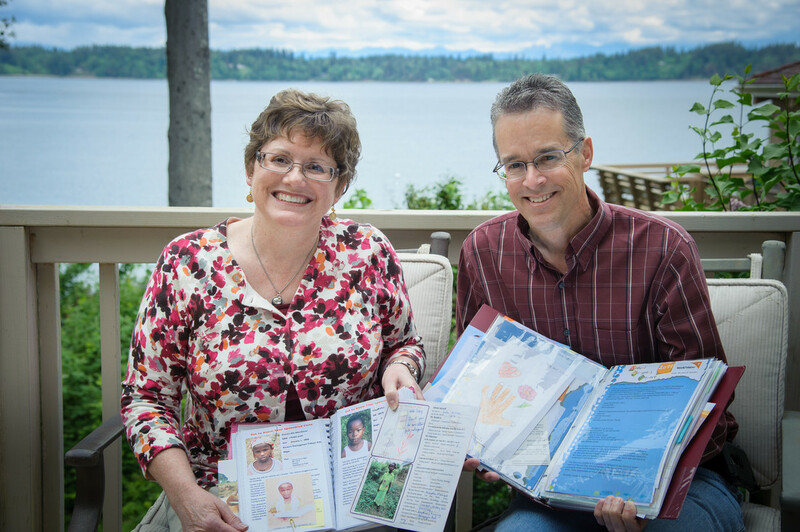 A Washington state couple is providing for children in need — now and for years to come. As a teenager, Lowell Johnson listened as his parents periodically played radio broadcasts from World Vision founder Bob Pierce. Their faithful tithing and passion for missions inspired him to sponsor a child in Korea while he was a medical student in the mid-1960s. 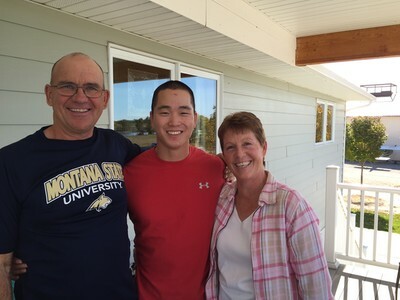 After completing his internship, Lowell entered the Army as a physician stationed in South Korea for 13 months. His first Sunday in Korea, he attended a church where the pastor, Dr. Han Kyung Chik, was a friend and ministry partner of Bob Pierce. Through Dr. Han, Lowell met his future wife, Marguerite, who was a short-term missionary for the United Presbyterian Church. While in Korea, Lowell went to several World Vision–sponsored orphanages on official duty to give vaccines. He also visited his sponsored child, who lived in Seoul with his mother; his father had passed away. As Lowell didn’t speak much Korean, “communication was quite limited,” he remembers. But the impact of sponsorship stayed with him, and after he and Marguerite were married, they began sponsoring another child. 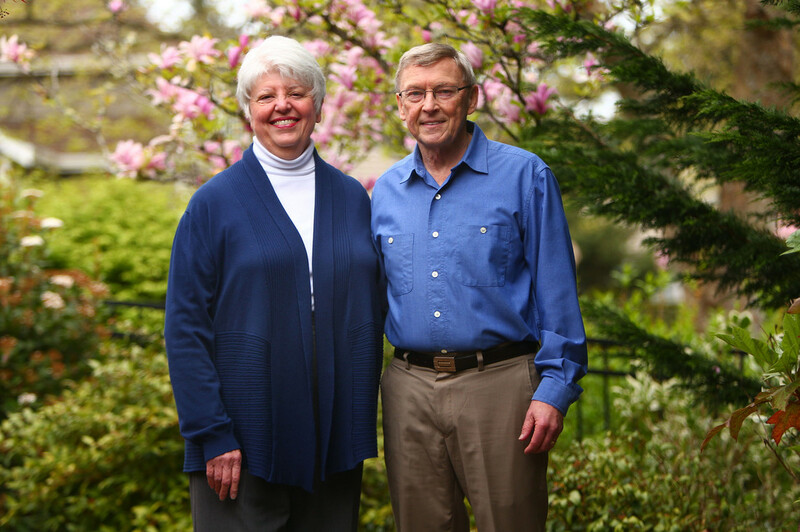 Forty-five years later, the couple currently sponsors three children — and plans to continue helping children around the world by including World Vision in their will. “I’d like something of what we’ve been given to provide something meaningful for the kingdom,” says Lowell. 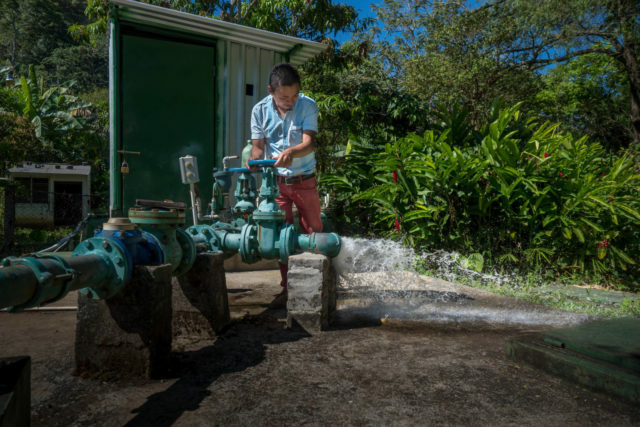 Still mission-minded, Lowell has gone on short-term medical mission trips at least once a year for the last 25 years, mostly to the Dominican Republic. He’s visited one of the couple’s sponsored children there several times, a girl whose sponsorship they assumed from Lowell’s mother when she was in her 90s. 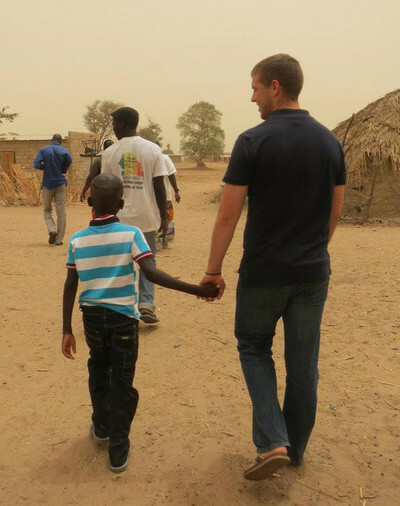 Last summer, I was able to visit my sponsored child, Pierre, in Tattaguine, a small village in the arid plains of central Senegal. I went with three other students from my school, and it was truly an amazing day. When we arrived with World Vision staff, my friends and I were moved by the welcoming spirit of Pierre’s family and friends. Pierre was shy at first, but he immediately perked up when I pulled out the soccer ball we brought for him. He was an amazing soccer player for being only 8 years old! We kicked the ball around after meeting his immediate family and several cousins. We found out that Pierre’s mom had passed away just five weeks earlier from tuberculosis. This touched all of us, as it seemed like our trip was made at just the right time to give Pierre hope and remind him that there were people praying for him and supporting him. After visiting Pierre’s school — which World Vision had built just a couple hundred yards from his home — we ended the visit by having lunch with Pierre’s family. His aunt prepared yassa poulet, my favorite Senegalese dish. She had come to live with his family after Pierre’s mother died. Before we left, Pierre’s father presented me with a traditional Senegalese tunic. Pierre and his family come from the Serer tribe, and it is Serer custom to give a handmade, black-and-white striped tunic to those who you consider family and your closest friends. I was touched to be welcomed into Pierre’s family. Now, I can say that Pierre is not only my sponsored child, but he is like a brother or cousin. I am so grateful for him and for the opportunity World Vision has given me to support and meet him. The religious education leader at my church, Debbie, came to speak to the congregation about her trip to South America with World Vision. I was always interested in sponsoring but was worried about the integrity of charitable companies, and whether the hard-earned money I would donate would end up in the right hands and actually help families in need. As Debbie shared her personal story of her life-changing experience, I was sold! 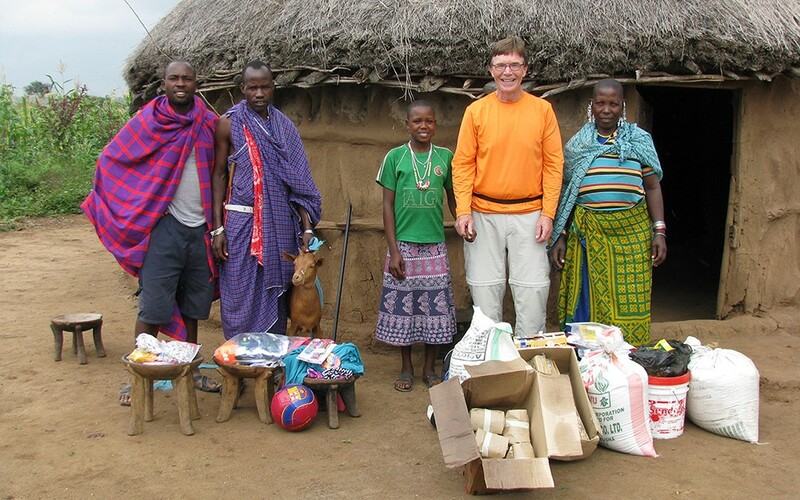 I was so happy to be able to help a family through World Vision. I have been so blessed to have all the conveniences of life in America, that even as a young widow, I knew that God would provide the money each month. And He did! Even on tight months when extra bills would come in, somehow, it would all work out and the extra income would be supplied. Over the years, I have sponsored four girls: two from Peru and two from India. I am blessed to be a blessing to these families, and it is so fun to see how these young girls grow up to be mature young women. It’s a blessing to encourage them to become who God created them to be. 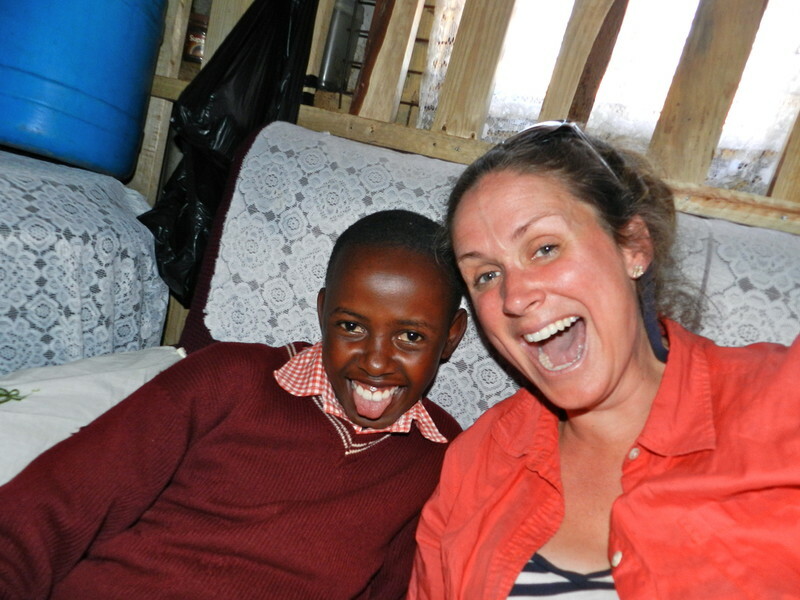 In fact, my current sponsored child wants to become a teacher … just like me! So I have lots to share with her about empowering others and making a difference in the life of a child. Even in my own classroom, we have collected money for World Vision. Creating the atmosphere of empathy and goodwill, my students have benefited from giving generously, too. I hope someday they will also decide to become sponsors. I was unable to have children, so my husband, Tom, and I adopted three children from Korea: Starre, Kascade, and Boone. I had hoped for a family of six, so sponsoring a child through World Vision seemed to fill some of that need. In 1999, I attended a Women of Faith weekend and felt drawn to our first sponsored child: Prapapan of Thailand. She was adorable at 18 months old. I kept her picture on the fridge each year until a new photo came. It reminded me to pray for her, her family, and her country. I have saved all the photos, artwork, and updates I received from her. It was exciting to have Prapapan’s family move beyond sponsorship and for us to be given another girl from Myanmar, May Thingyan. And last year, we started sponsoring Vilma Cristina, a girl from Guatemala. A friend of mine is adopted from Guatemala, so we wanted to share in her life by sponsoring a girl there. I believe women can be a mighty force for improving lives. I hope these girls feel loved and empowered to make our world better. In Thailand a girl was growing, World Vision her picture showing. From Montana we sent our love, to a precious gift from above. To a new land we now had ties, as she grew up before our eyes. So we look forward to growing, with a new girl we are knowing. Myanmar’s the place she’s living, and to her future we are giving. These girls filled our life with sharing; God’s wonderful way of caring. A veteran actor and his wife live out their values through child sponsorship. “As someone who has to tell stories every night, the greatest villains in most narrative structures are ones that are trying to be unloving and uncompromising at the same time,” says Bryce, who has appeared in several on- and off-Broadway shows. But each night, he leaves his character in the theater and goes back to real life, where he and his wife, Meredith, fight unloving and uncompromising villains —poverty and oppression — as child sponsors. The seeds of giving were planted in Bryce as a child growing up in Sunday school at his California church. 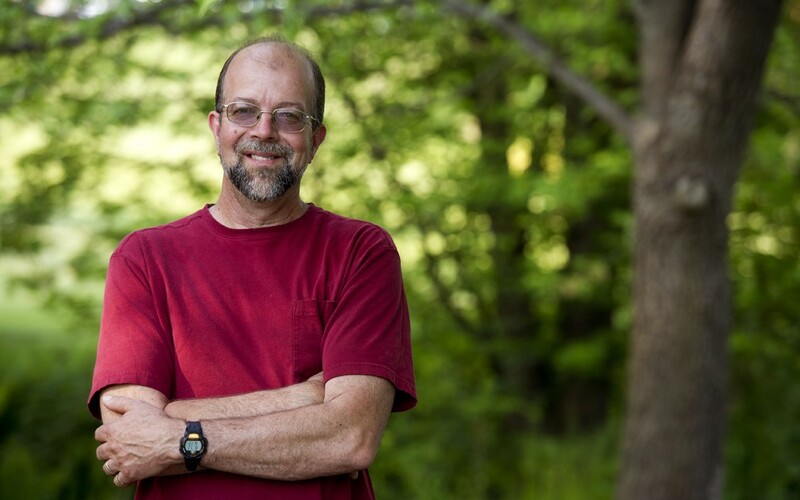 It’s where he first learned about World Vision, and the desire to help others stayed with him. 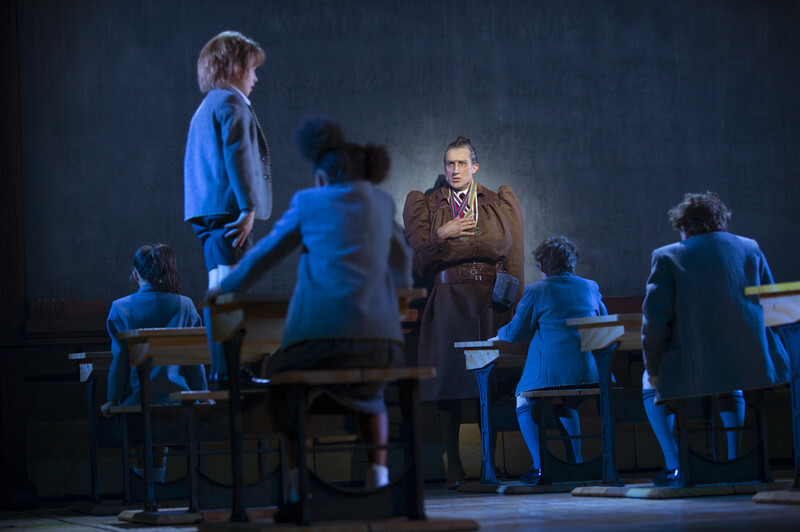 “We felt convicted that as my career success in New York was going well and as our financial picture expanded, we wanted to reflect that in our giving,” says Bryce, who mentions World Vision in the “Matilda the Musical” program. 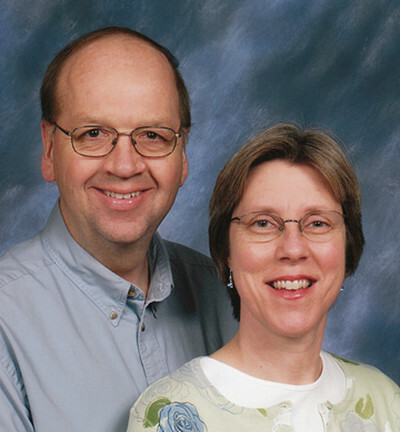 The couple sponsors three children through World Vision. 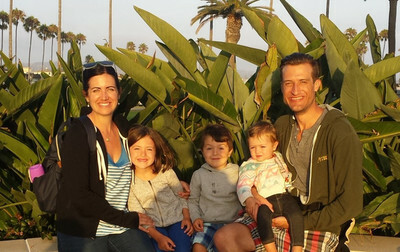 And with three small children of their own — ages 6, 4, and almost 2 — they’ve found their sponsorship experience rewarding. 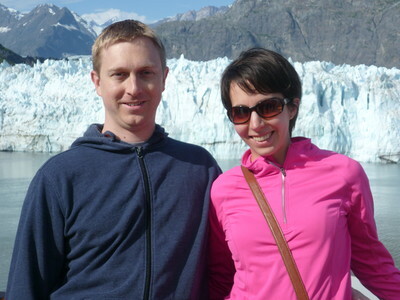 Meredith and Bryce look forward to sharing more about sponsorship with their children as they get older. And now that their oldest is reading and writing, they want to involve her in communicating with their sponsored children. Two months after Sarah Coburn-Rothermel had her first baby in 2009, the family’s nanny donated a goat through World Vision in her honor. 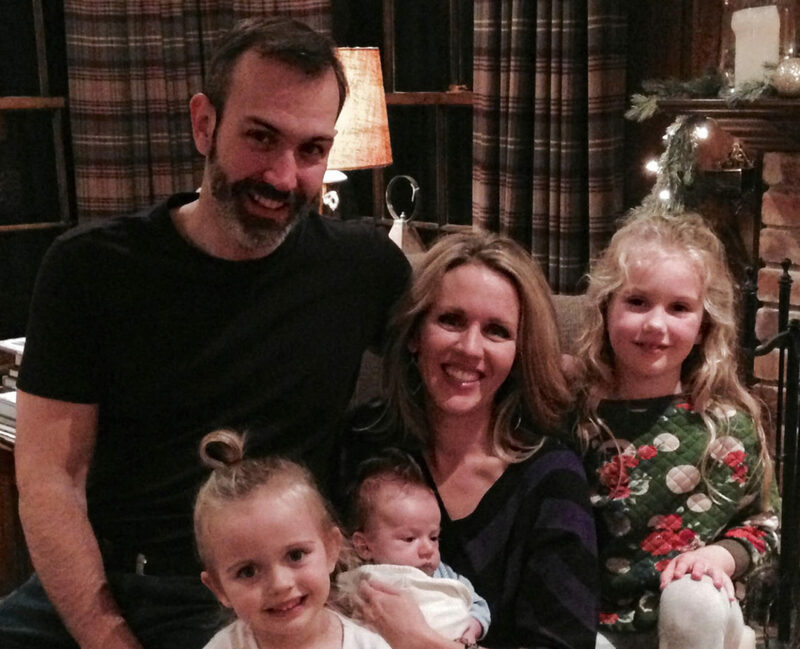 Sarah, an accomplished opera singer, and her husband, Chris, started sponsoring four children. That number quickly grew to nine. “My wish is that others would see how little it takes to make a difference in the life of a child,” Sarah says. She says she’s amazed at how much families can buy with just a $100 special gift. One child’s family received a new roof, clothes, and a sack of maize with that amount, which floored her, especially when she contrasted that amount with what they had recently spent replacing their own roof. Her children, 6-year-old Katie Rose, 3-year-old Ruby, and a new baby, George, already see their parents’ generosity and are following suit. God brought an Ethiopian boy into my life and enabled me to continue sponsoring him. I’ll never forget a sermon my pastor shared on giving all that we have back to God because it is his in the first place. Since then, my view on money and possessions has never been the same. I have seen time and time again that when I give God is always faithful to provide. This has never been truer than in my sponsorship of Abiyu Siyum, an Ethiopian boy who was 8 years old when I began sponsoring him. At that time, I was 20 and still a college student with just a part-time job. But that didn’t stop God from bringing Abiyu into my life. God has always provided a way for me to continue giving. Even through times where I had no job and was spending most of my savings on books and college fees, God provided the exact amount every month. One month I didn’t know how I was going to send the money so I prayed. I was selling back a used textbook and I received the same amount that I needed for that month’s sponsorship. God is faithful and he will provide for the “least of these” because they mean so much to him. As God has continued to use me to sponsor Abiyu for more than six years, he has been reminding me over and over again, like my pastor taught, that all I have is his. My husband and I hope to one day visit Abiyu in Ethiopia and see how God has been working in this now 14-year-old boy’s life. 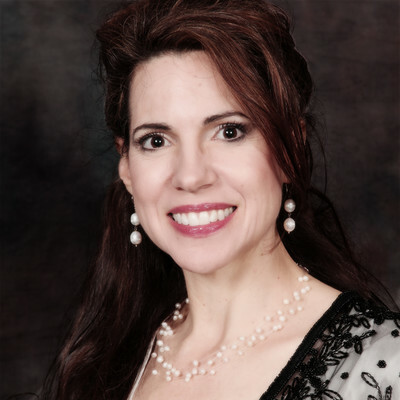 This woman from Aurora, Colorado, loves being a child sponsor. 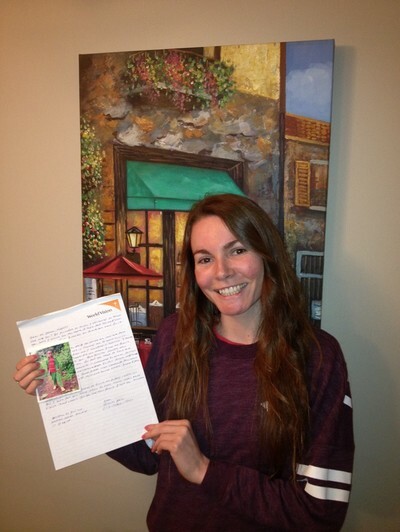 I signed up to sponsor a child with World Vision when I was 18, after a presentation at my college. As soon as I received my packet with Avalina’s picture, I fell in love immediately and had a sense of being part of something bigger. Twelve years later, my heart has changed. I am always looking for ways to give, I have become a much more thankful person, and I see things like fresh water and a door on my home as blessings. I now sponsor three children with World Vision and look forward to the day I can start helping another child. I love seeing how my dollars can stretch so far in another country. Even when finances are tight, over the last 12 years God has always provided so that I can still send my monthly contributions. Sponsorship has allowed me to set goals for my life — to help the poor, to love others, and to be resourceful in giving. I have a goal to raise enough money someday to drill a well in Africa, and I’m looking forward to the day that will happen. A few years ago, our church was sponsoring children. 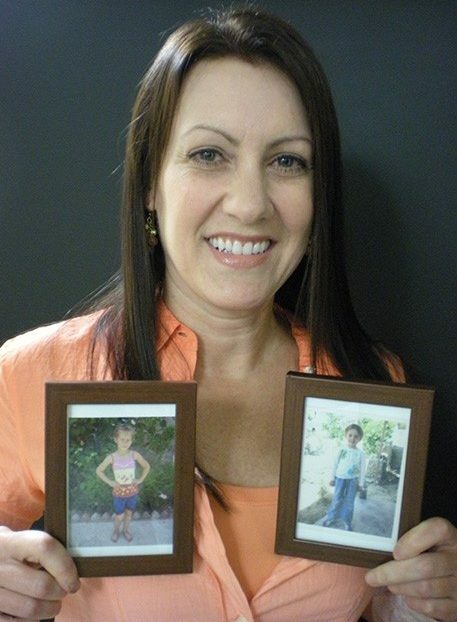 We saw Flora’s picture, and she has the same birthday as Karen. She lives in Mozambique, where our son was living. We just felt connected to her. Today, we have her picture on the refrigerator with our other children. We’ve hosted exchange students, and we have their pictures up, too. So we consider Flora part of our global family. One night, we were at dinner with other couples who all had sponsored children, and someone asked, “What if something happens to us before our [sponsored] child comes of age?” and we didn’t know. We contacted World Vision and have named World Vision in our will. People say, “I can’t make a difference,” but we can. We can each do something. Hopefully by the time we die, Flora will be aged out of sponsorship, but it’s important to leave an international legacy in addition to the local legacy. 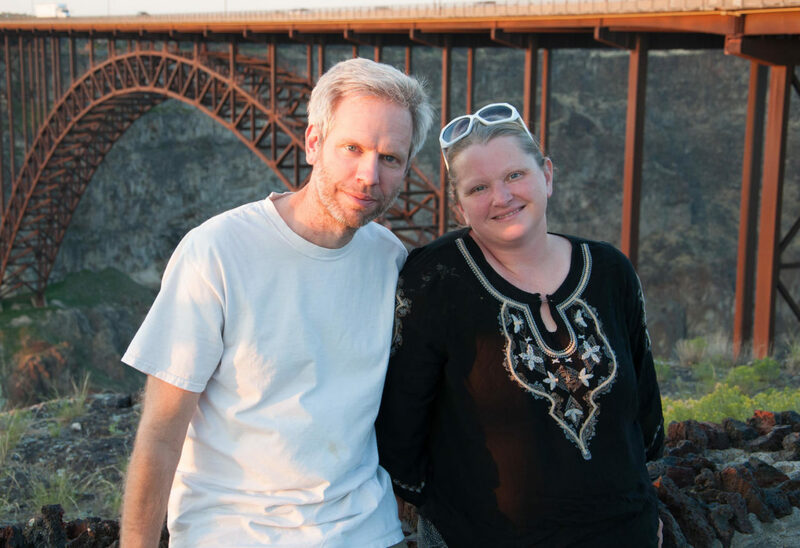 For a couple in Fircrest, Washington, sponsorship brought peace and joy after unimaginable heartbreak. I love being a child sponsor because it completes my family and brings me joy. I chose to become a World Vision sponsor in 2006 after our fourth child died just a few weeks before she was to be born. I saw Gugulethu’s photo at a World Vision event and noticed her birthday was the same as my baby’s. God showed me how being part of this child’s life would soothe my hurting heart and bring joy to our family. He was right and it did. What joy it brings me as I see Gugulethu’s photos take her from a smiling little girl to a grown up young lady. Something I never got to see with my own girl I get to experience through another precious life a world away. Since then we’ve added more sponsored children to our lives and even added a little miracle baby to our family. God is so good! I love being a child sponsor because my heart has been opened to a whole new life of love and service. I sponsor two little girls in Albania. When I was choosing my first child on the World Vision website, I selected “Eastern Europe” quite randomly as well as “age 6.” The third face I saw was the cutest little face I’ve ever seen, and it was love at first sight. I sponsored my precious Fjorida. I began to feel a love in my heart for the people of Albania. Over the next few months, I felt a strong desire to sponsor a second little girl. When I found Rosarja, I was filled with excited anticipation. Having sponsored two girls in the same country has been amazing. I’ve started to learn the language, and my love for Albania continues to deepen. Now it is my plan and ambition to move there, so that I can help bring the good news of Jesus Christ to as many children as possible. I want to give hugs and hope and put smiles on faces. I don’t have my own children, so I need hugs and smiles too. 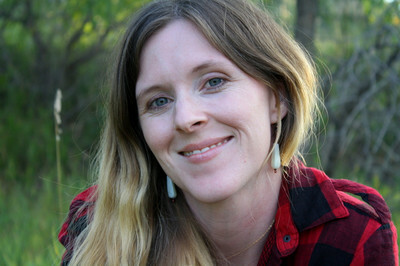 “Getting our kids involved has made [sponsorship] even more meaningful,” says Heather Nickell. My husband, Isaac, and I have been privileged to sponsor children through World Vision for more than 10 years, but getting our own kids involved has made it even more meaningful. In the past few years we’ve added three children to our World Vision family, each one of them sharing a birthday with one of our own children. 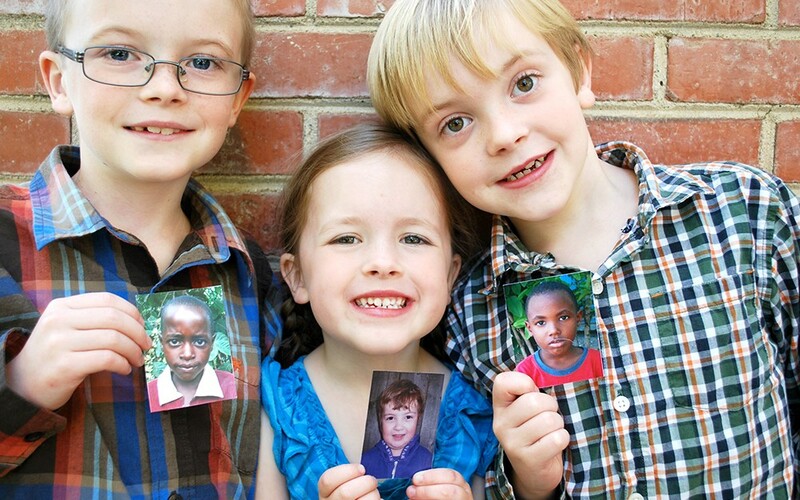 First we added Joel from Uganda and Ivan from the Dominican Republic, paired with my sons Evan, 9, and Micah, 8. Most recently, Daniela from Romania joined us in 2013 on the birthday she shares with our daughter, Natalie, 6. We call these three kids our birthday buddies. Our children are pen pals with them, and they love learning about the various countries and cultures in which our sponsored children live. I feel like this has helped open their eyes to the reality of poverty around the world and made it more personal to them. I love being a child sponsor and showing our kids how giving to others is part of what God has called our family to do to share his love with the world. A Washington woman gives up coffee to put money toward sponsorship. I’ve always wanted to sponsor a child, but as a stay-at-home mother of three, it wasn’t in the budget. But when I ssaw a World Vision booth at a local concert, I made a promise to God. I told him I would not purchase a single latte for one year in order to put that coffee money toward sponsoring a child. I love my coffee, but I love God’s children more. I made it through the whole year. I’m thankful I made that choice because our sponsored child, Ronnett, is a welcome addition to our family, and we pray for her nightly with our children. It keeps our eyes open to the bigger picture of living out a life of love and kindness. I feel that God honored my simple, somewhat silly sacrifice. We have even sponsored a second child in India with the same birthdate as our daughter. Now, every time I sip my favorite latte, I am reminded of all the children receiving God’s love through World Vision sponsors—and how a small “giving up” of ourselves can lead to a wonderful “giving in” to our Savior’s plan of provision for children in need. 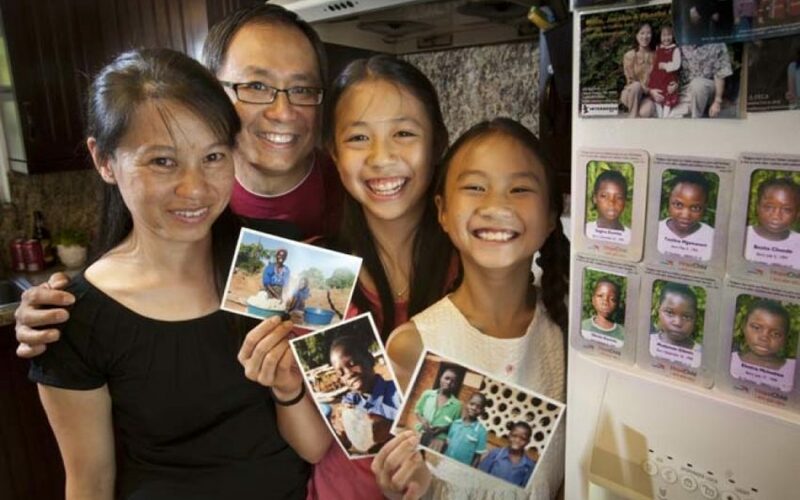 A Washington couple sacrifices to help dozens of sponsored children. Tracy Evans arrived home elated after volunteering for World Vision at a recent Harlem Globetrotters game, where she helped 25 children receive sponsors. Her husband, Mike, was simply relieved that his wife didn’t sponsor another child. “He used to be fearful because I was apt to come home with another kid,” says Tracy, who today has a “family” of 26 sponsored children. Tracy, a 51-year-old mother of two from Olympia, Wash., didn’t write much to the first child she sponsored in 2010 at a Family Christian store. But when she did, she always received a letter back. Her passion began to grow as Tracy understood sponsorship is a relationship, not an obligation. 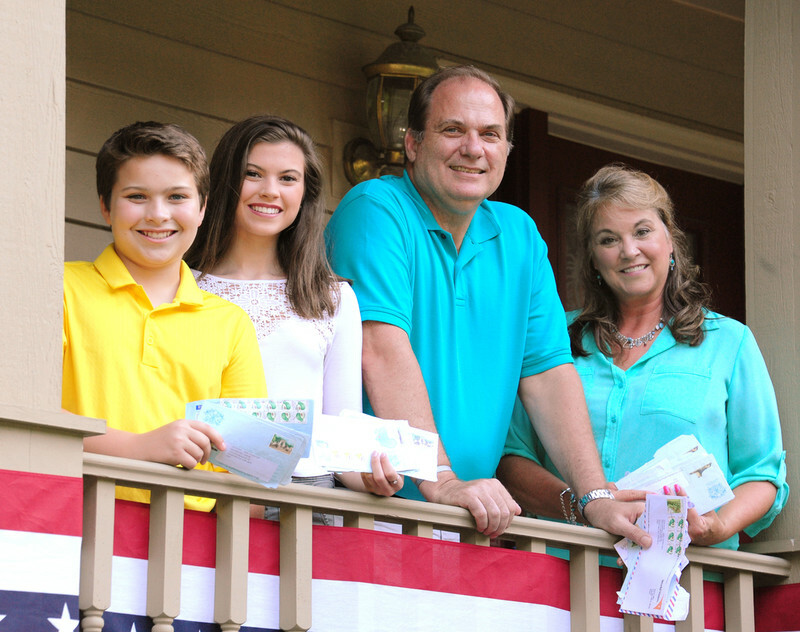 “He really does receive our mail; he really does know who we are,” she says. This insight sparked Tracy’s urge to sponsor more children. She soon returned to the Family Christian store, just to look at the children awaiting sponsors. She sponsored one more — but returned less than two hours later to sponsor another who had touched her heart. Tracy regularly popped in to the store to look at the children who needed sponsors. 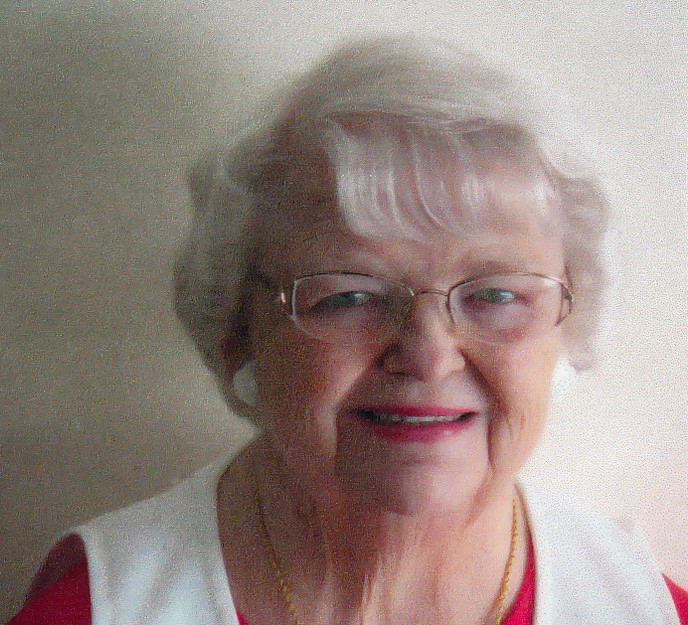 She couldn’t sponsor all of them, but she often took their prayer cards. Sometimes she’d sponsor another child. Sponsorship impacts her family too. Mike may still hold his breath when she goes to the Family Christian store, but he sees her passion and supports it—even as bills became harder to pay, testing the couple’s faith in God to provide. But they never wavered. “I’d rather do this than buy clothes or go out to eat. I’ve learned to trust him,” says Tracy, who sponsors because she can’t imagine the pain of a mother not able to provide for her child. 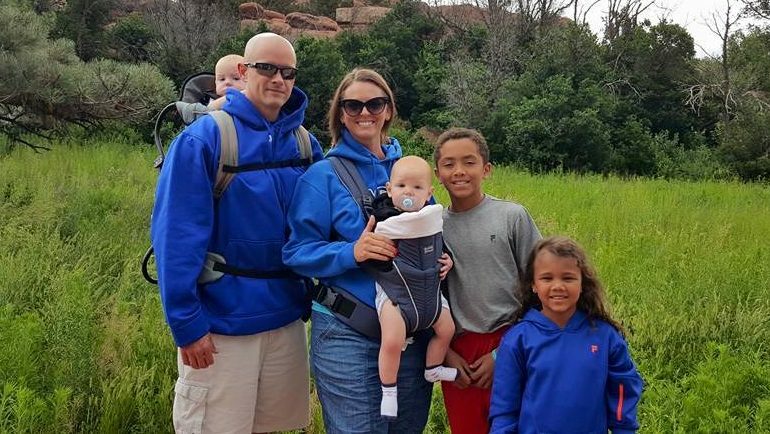 Her commitment to these children is so great that she and Mike tried selling their house to sponsor more children, but she says it hasn’t been God’s timing yet. Eight years ago, we sponsored two children after attending a Jason Gray concert. Last May, Steve had the incredible experience of meeting one of our sponsored children while on a mission trip in Tanzania. I gave Memusi a picture of our family and a world map on which I had marked the approximate location of Spencer, Iowa. I told her she would always have another family, thousands of miles away, who loves her. She took my hand, squeezed it, and leaned her head against my shoulder. We both had tears in our eyes. That moment will stay with me forever. We have since devoted our extra time and and resources to promoting World Vision. Steve is a World Vision Child Ambassador and speaks to several groups about child sponsorship. It has been a joy for both of us to be able to share in this small way. This experience has given us a whole new perspective on missions, poverty, and injustice. 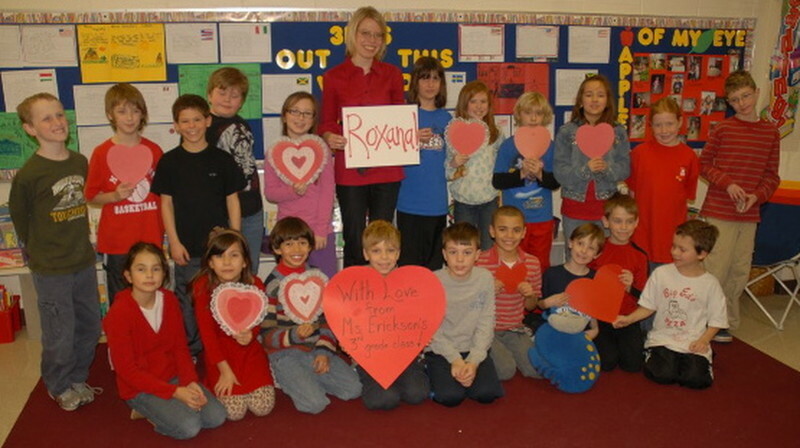 A third-grade teacher enlists her students in a Valentine’s Day surprise for her sponsored child. As a third-grade teacher, I had the opportunity to share with a room mom (parent volunteer) about my trip to the World Vision Child Ambassador conference and my two experiences visiting my sponsored child, Roxana, in Mexico. I didn’t know it, but the Lord used our conversation to plant a seed. My room mom was so inspired that last year she sent a note home with all of my students just before Valentine’s Day, inviting them to bring an extra Valentine addressed to Roxana. We took some class pictures, and my room mom compiled the cards and photos into a care package that was sent to Roxana. After the Child Ambassador conference, I felt God impress me with the desire for a broken heart. I prayed, as World Vision founder Bob Pierce did, “Let my heart be broken with the things that break the heart of God.” And he responded in a way more incredible than I could have asked or imagined. A few years ago, I decided to take my dream trip to Africa, including a visit to my sponsored child in Kenya. I chose Utikas to sponsor because he was born the same day as my oldest nephew, and I wanted to encourage my nephew to learn about kids in other circumstances. My nephew saved money so I could buy Utikas some treats. Once in Kenya, I visited Utikas at school. It was so humbling. How do you share how much you’ve prayed for someone over five years? I also visited his house and met his mother. I presented Utikas with the treats, but what he loved most was my nephew’s letter. This was one of my life’s greatest moments, watching Utikas connect the dots that a family across the world was praying and rooting for him, including a young man his exact age. One of my most treasured blessings in life is my family’s total support. We all need cheerleaders in life, and I want my sponsored child to know that he has a cheerleader, too — someone to yell encouragements from the sidelines and offer a hand in times of trouble. I’m a regular guy. I’m married, I work, and I’ve adopted several kids from the U.S. I like sponsoring a child because of what I think it does. I was laid off from work in 2010 and, in a roundabout way, got to go to Honduras on a mission trip. It was low-budget, and I was able to raise money through friends and family. The trip ended up being a life-changer for me. I had already been sponsoring children because I believed it was just “what I should do.” But the trip really cemented for me what a difference I can make in a child’s life. Because people in developing countries do with so little, I know for a fact that what little I give through sponsorship makes a world of difference to the child and his or her family when it’s structured through World Vision. Yes, I wish I could visit my sponsored child, Orlando, but I have to trust that he is doing better being on the receiving end of my small contribution to his world. Small in my eyes but, I believe, very helpful in his eyes. Praise God for the opportunity. He agreed it was a good thing to do. In a few days, the papers to become a sponsor arrived for us to fill out. I wondered, with all those precious children needing help, how could I pick one? I wrote across the form, “You pick us a child, no matter how old or where he or she lives.” World Vision chose for us a boy in India. He was 8 years old, born on Sept. 25. That was my son, Wayne’s, birthday. This little boy’s name was Wayne, and his father’s name was Frank, which is my husband’s name. We called this a miracle. I asked my husband what he thought this meant. He said, “It means we should sponsor a child as long as we live.” That was 37 years ago. Sponsoring a child still gives us great satisfaction. For several years, I have asked my children and friends to give me money for World Vision, instead of gifts. I’m 84, and I don’t need any gifts, but it’s such a joy to pass the blessing on to hungry children. Six faces smile out at us from our refrigerator door. These faces belong to Olecks, Bezita, Segina, Tezilina, Mudyenso, and Eletina — the six Malawian children we sponsor. Knowing that our sponsorship makes a difference in their lives makes it all the more meaningful for us. It’s wonderful for us to know that a simple monthly check to World Vision gives children an education and much more so they can lift themselves and their families out of poverty. God has abundantly blessed our family, and we are excited to use these blessings to bless others. As Christ teaches, “The King will reply, ‘Truly I tell you, whatever you did for one of the least of these brothers and sisters of mine, you did for me’” (Matthew 25:40, NIV).